Barbra Trybe, a longtime civic activist in and around Dorchester, died on Dec. 19 at age 69 after a long illness. She was active in many organizations, including the Dorchester Allied Neighborhood Association, the Dorchester Day Parade Committee, the Four Corners Action Coalition, which honored her as a Hidden Hero in 2017, the Bloomfield Park Neighborhood Association, the Dorchester Food Coop, and the Castle Island Association. Ms. Trybe was a member of the Castle Island Choir and the archdiocese of Boston’s Black Catholic Choir. Early in her career she worked for the USO. She was also a member of the American Academy of Professional Coders and worked for many years at Tufts Medical Center prior to her retirement. A graduate of UMass Boston, she was an avid photographer who traveled widely. 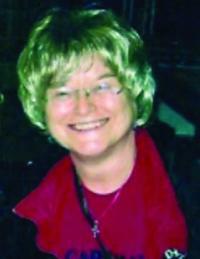 In the 1990s, she was a frequent contributor to the Dorchester Reporter. Ms. Trybe was predeceased by her parents, Povilas “Paul” Trybe and Hildegarde (Danes) Trybe. She leaves a cousin, Stase Jukstiene of Pasvalys, Lithuania, and many friends. Proud of her Lithuanian and Germany roots, she was an active member of the Knights of Lithuania and the Boylston Schul Verein in Walpole and a congregant of St. Peter’s Lithuanian Church in South Boston to which memorial donations can be made. Visiting hours are at the Casper Funeral Home, 187 Dorchester St, South Boston, on Thurs., Jan. 10, from 4 to 7 p.m. A funeral Mass will be said at St. Peter’s Lithuanian Church on Fri., Jan. 11 at 11 a.m. Interment to follow at New Calvary Cemetery.